If your interested in porcelain veneers and would like more information please fill out our enquiry form. Are you self-conscious about your teeth? At Dental Perfection, we don’t believe anyone should ever feel the need to hide their smile. We have been helping our patients in Hampstead and across North London smile confidently since 1979, which is why we offer the highest quality porcelain veneers, fitted by our fully qualified and caring dental team. Veneers are a very popular form of cosmetic dentistry in which a thin shell made from porcelain is placed over the tooth. They provide a new layer to replace the flawed, chipped, worn or discoloured enamel. But why would someone need this? Well, veneer teeth can be used to correct a number of different tooth imperfections. 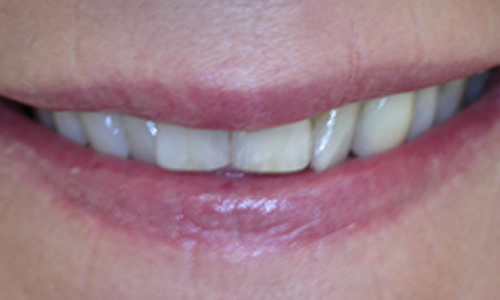 What can porcelain veneers be used to fix? Click to watch the video below to help understand the veneers process or read our page What are veneers? As you age, your teeth can become discoloured due to a huge number of different causes. Tea, coffee, red wine and spicy foods can all stain your teeth, and there are many other things can cause your teeth to become discoloured which can’t be fixed by simple tooth whitening. Discolouration from root canal treatment, certain medications or large resin fillings will not be affected by traditional whitening treatments, as these procedures can only bring your tooth to its lightest natural shade. With dental veneers, a layer of porcelain is placed over the discoloured surface of your tooth, making it appear much lighter. Your dentist in Hampstead can even paint over the veneer in a dental cement of whichever shade you like, to achieve the perfect look for you. You can also be born with discoloured teeth (congenitally discoloured or malformed teeth) or unsightly banding of the teeth if you had medication or suffered any systemic disease at the time the teeth were developing. 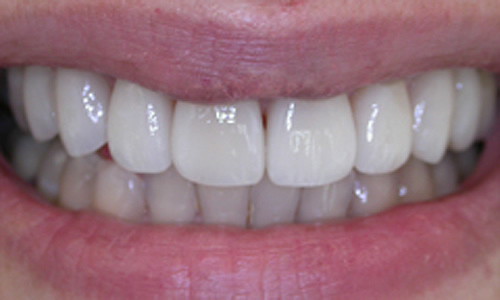 Some people choose to get porcelain veneers to lengthen the apperance of their teeth. Those who suffer with bruxism – a condition which makes you grind, clench or gnash their teeth unconsciously whilst either awake or asleep – often find their teeth wear down over time. This can result in teeth looking much shorter than they are meant to, affecting not only the appearance of your smile, but also potentially your ability to bite and chew. 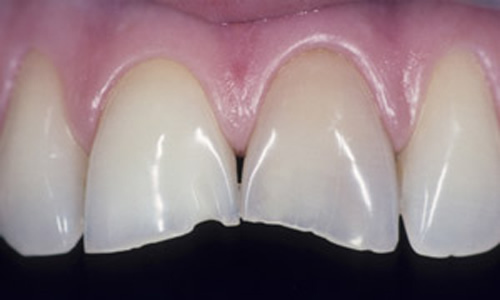 Dental veneers are bonded to the top of your teeth, but they can be made to extend further if needed. Think of veneer teeth like fake nails, extending the appearance – and possibly the colour – of your tooth, but also potentially providing additional functionality. If you choose to do this however, bear in mind that porcelain veneers can also wear down or become damaged just like real teeth. If you’re seeking veneers for this, make sure you speak to our dental team in Hampstead about getting a mouth guard following the procedure. Just as porcelain veneers can be used to lengthen the appearance of worn down teeth, they can also be used to cover teeth that have been chipped or broken. Your dentist will simply smooth off any rough ages before laying your porcelain veneers over the top of any damaged teeth. Then, all you will be able to see is the flawless outer shell of the veneer, leaving you with perfectly shaped teeth. 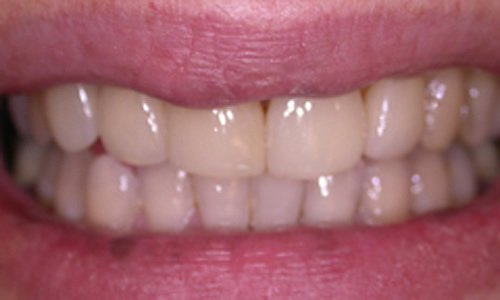 Porcelain veneers can even be used for wonky teeth and those with gaps in between. Whilst they will not be able to actually straighten your teeth, they can make them appear straighter to the world in just three appointments. This makes them extremely popular with patients facing lengthy treatment time for other ‘straightening’ methods. 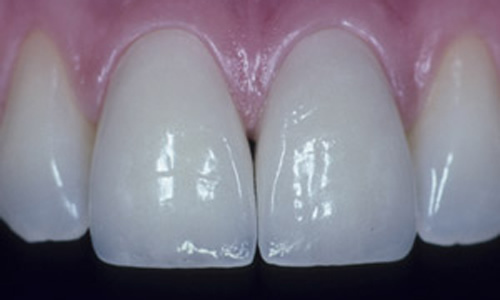 The veneers are made oversized and when applied, will reduce the gap. Click to watch the video below to help understand the process. 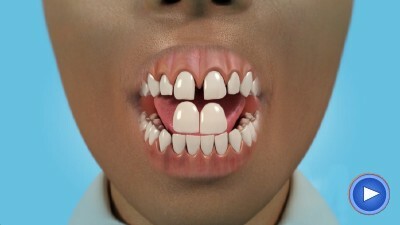 Whilst not exactly a medical problem, some people naturally have teeth which are very short or thin. Unlike cracks and chips, these are not always seen as an aesthetic problem either, however it can still cause some people to become self-conscious about smiling. In this case, we could completely remodel the appearance of your teeth by evening out the size of your teeth – so you’ll never have to feel like hiding your smile again! Some patients may have issues with multiple visible white filings which were carried out at different times and need covering up. These white fillings will often be of different colours or shapes or be stained or have textures that give the appearance of the front teeth an unaesthetic effect. 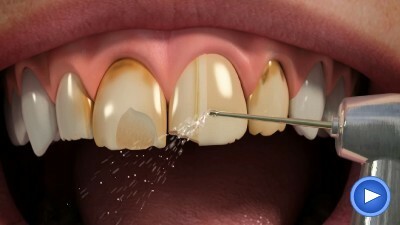 Veneer teeth can also be the perfect solution if you suffer from one or more of the issues above. Say your teeth are both discoloured and misaligned. To correct these issues individually would take a considerable amount of time, not to mention two separate bills to pay. 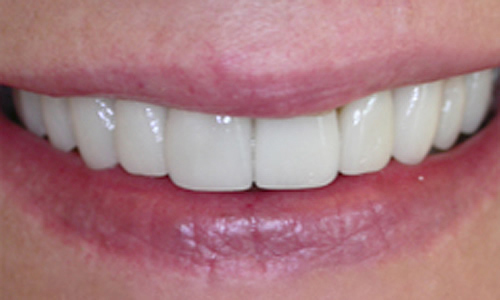 With porcelain veneers, you can both brighten and straighten the appearance of your smile in just a few appointments. When you come in for your veneers consultation at our North London practice, you’ll be met by our highly qualified and caring dental team. You will only be treated by a specialist dentist as we feel this is the only way to deliver the high standard of care and beautiful end results we wish for our patients. You will meet with your specialist cosmetic dentist and have the chance to talk about the imperfections you’re wanting to correct and the results you’re hoping to achieve. This can be extremely helpful, as your dentist will be able to tell you what is and is not achievable for you with porcelain veneers. They will work to find out if veneers are the best solution for what it is you want to change and discuss any alternatives that may be better suited to you. If everyone agrees that porcelain veneers are the right way forward, your dentist will carry out a full examination of your teeth receiving treatment. This will involve ensuring your teeth and gums are both healthy and stable enough to support the veneers in the long term. You’ll also have the chance to ask the experts about any questions about veneers or concerns you may have about veneer teeth and the veneers procedure. We want you to feel calm and confident about your treatment, so this is an opportunity for us to help put you at ease. To help you decide if veneers are what you're looking for, you can view more before and after photos of veneers for patients that we have helped. You can also view our standard cost of veneers. If you’d like to book your consultation for porcelain veneers or have anything you’d like to know before you do, please give us a call on 020 7431 2710, or come visit us at the Dental Perfection surgery in Hampstead, North London.